What makes Portfolio Series the best choice for you? 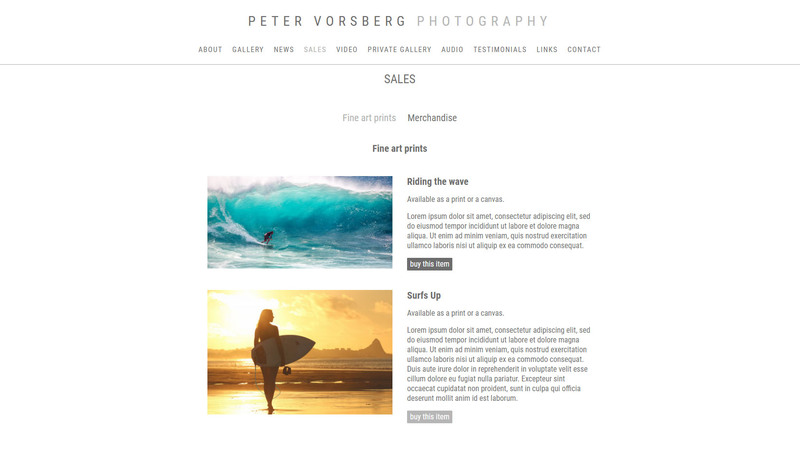 Portfolio Series is a website system designed specifically for photographers and other visual artists. 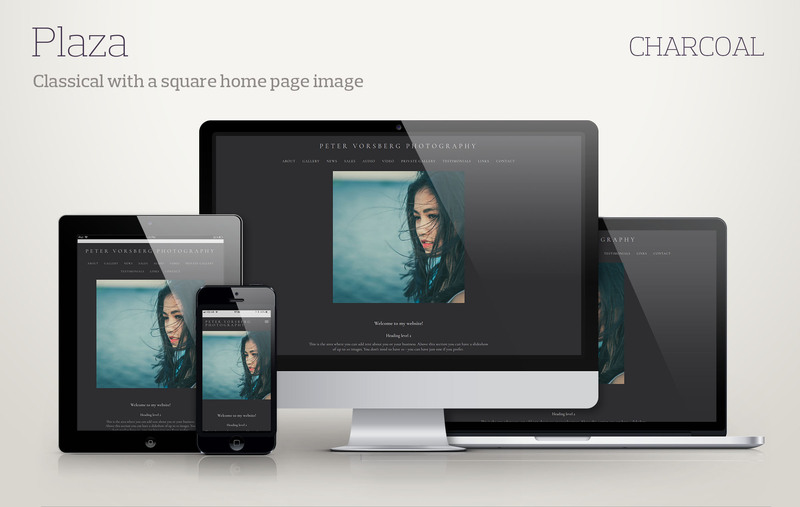 It provides a simple-to-use system to allow anyone to create a site quickly and easily without any technical knowledge. TEMPTED BY SLICK SAMPLE SITES BUT THEN FIND YOU CAN’T GET THE SAME RESULTS? 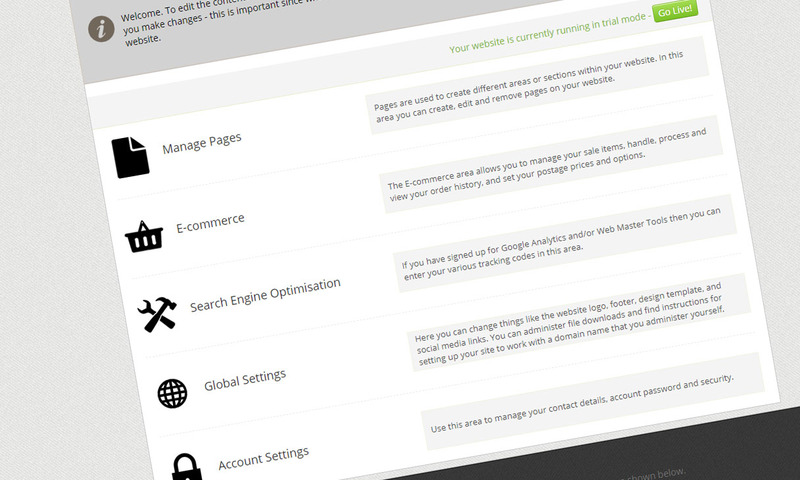 When you register for your free trial, our system instantly builds you a complete site with dummy content so that you can see straight away what it’s supposed to look like. Just replace the content with your own, switch off any pages you don’t want, and then publish the site. It’s as simple as that! FRUSTRATED BY THE PROMISE OF JARGON-FREE SETUP ONLY TO FIND IT OVERWHELMING AND CONFUSING? Our simple-to-use admin system allows you to quickly and easily build and edit your site. We do our best not to use any tech-speak, and we try to make it obvious what to do at every stage. TAKE AWAY THE PAIN OF MAKING IT LOOK NICE BY ALLOWING OUR SYSTEM TO DO IT FOR YOU! The underlying concept of the Portfolio Series system is to provide a comprehensive set of page layouts into which you can drop content and not have to worry about how its going to look. The system takes your content and creates a perfect web page every time. After all, not everyone is a skilled graphic designer. If you want to fine-tune your site, there are lots of options to choose from. You can change how the galleries are laid out, how the text is formatted, how the site handles image security, and many other things.